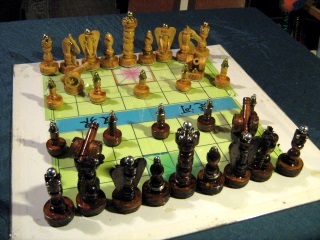 The CVP received an email containing the following description and photographs of a XiangQi set handmade by Robert Hancock. 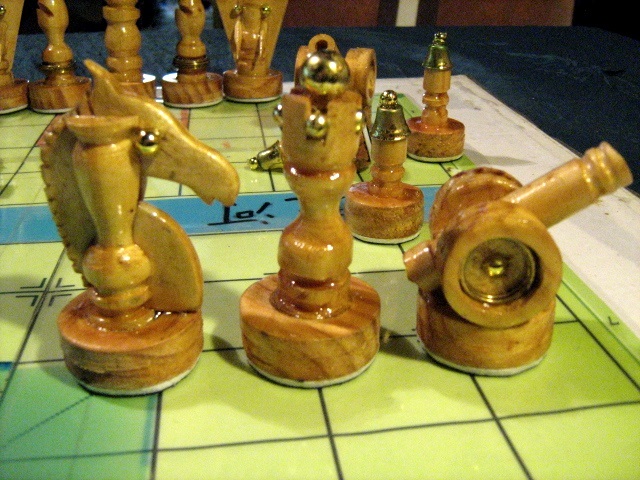 "These pieces were turned from wooden dowels on a drill press using a support bearing at the bottom end. Discs were cut from 12 mm pine with a hole saw. 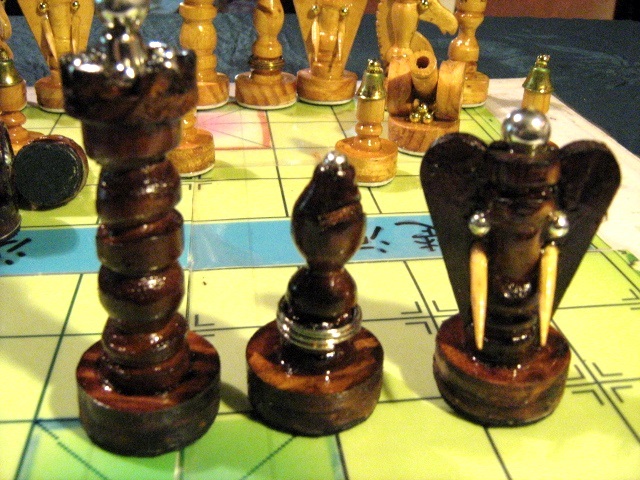 Most of the pieces are fairly standard designs, with the exception of the Elephants which I designed myself. The helmets on the soldiers and the other metallic beads are Xmas decorations."